Top features: Kurio Genuis software lets you manage how your child uses their tablet Over 40 preloaded apps that are educational and fun for all to enjoy Anti shock bumper to help keep the tablet safe if dropped Expandable memory up to 32 GB for more fun and games Kurio Genuis softwareThe Kurio Advance C17150 Kids Tablet is easy to use and the software is specifically designed to keep your children safe on the internet. 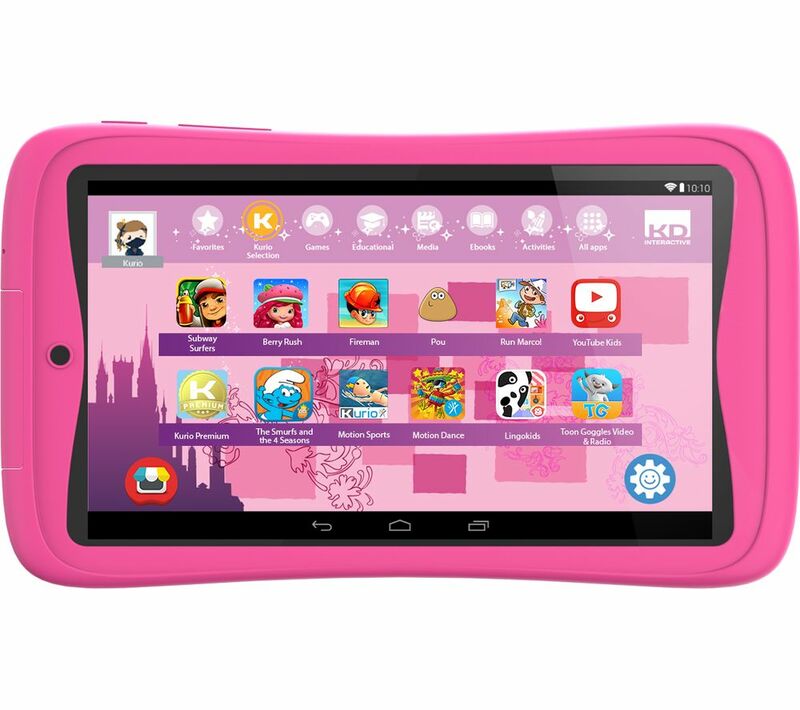 In addition to this safety, you can control the usage you give your children and create up to eight child profiles on one tablet so everyone in the family can enjoy a personalised profile.Over 40 preloaded appsEnjoy the Kurio Advance straight from the box with over 40 preloaded apps. 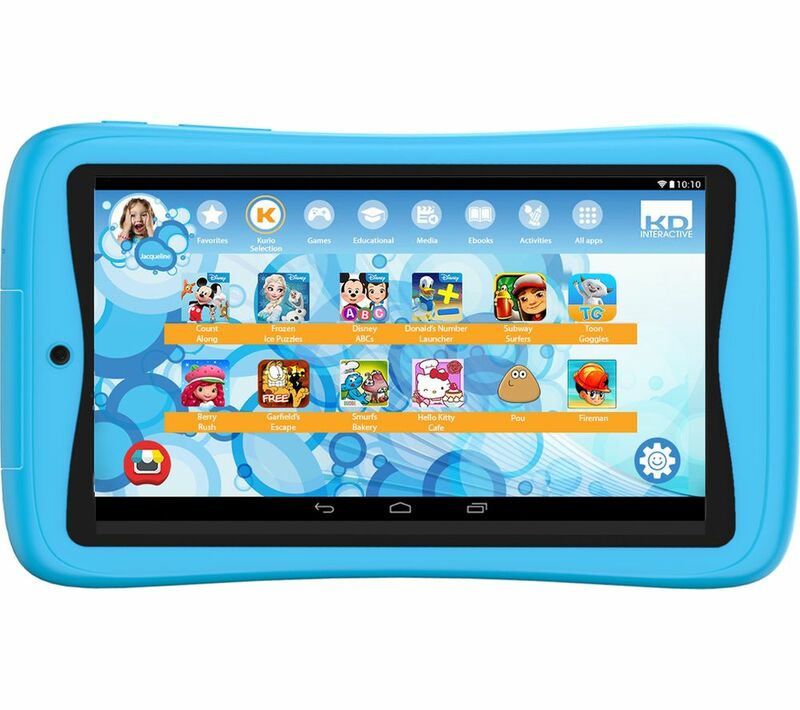 You will also receive new content weekly to keep your children up to date on the latest releases that they can enjoy with you or their friends.Anti shock bumperSometimes accidents happen and the anti shock bumper helps protect the tablet from major damage. This means you can feel calm about leaving the room whilst your children play with tablet and not have to worry about major costs or damages.Expandable memoryIf 16 GB of storage isn't enough for your family to use on the Kurio Tablet, then you can expand it up to 32 GB, letting your children enjoy more content than ever before.